Podium Properties sells some of Denver's finest residential homes. REALTOR® Ryan Borger of Podium Properties has helped countless individuals successfully buy & sell residential property in Denver. Podium Properties sells homes ranging from historical mid-century moderns to luxury new construction homes throughout the metro area. Ryan works with buyer clients ranging from first time home buyers to experienced investors. Ryan is from the area so he has great local knowledge and connections. Besides knowing the market, he knows what to look when evaluating a property and pointed dozens of things out I would have never known to look for. He was available at the drop of hat and clearly has a high moral compass. Ryan puts your needs and concerns first. BUY OR SELL WITH RYAN REALTOR® Ryan Borger has helped countless individuals buy & sell homes throughout Denver. He would love the opportunity to discuss your needs, whether you're looking for your dream home, or selling your current residence. To hear what past clients have said about working with Ryan, please see his past client reviews on Zillow and his testimonials page. PAST SALES View detailed property information and full photo galleries of a selection of Ryan's recent sold properties. Ryan represents home sellers in all price ranges throughout the entire Denver metro area, providing the highest level of marketing services & employing strategies to sell properties quickly and for the highest price possible. 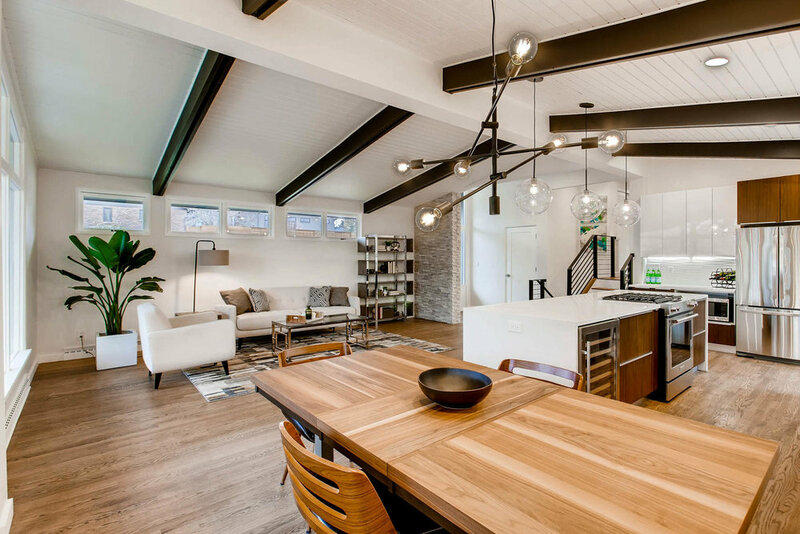 DENVER’S MID-CENTURY MODERN EXPERT Ryan works with buyers and sellers of all types of homes, however he is regarded as one of Denver’s top agents with vast experience working with mid-century modern homes. Looking to buy a mid-century modern? Have one to sell? Ryan would love to help. See Ryan’s portfolio of past mid century modern homes he has sold here. FULL PHOTO GALLERY AND MORE INFO HERE. Thinking of buying or selling a home in the Denver area? The first step is to schedule a consultation with REALTOR® Ryan Borger, where he will answer any questions you have. Information deemed reliable but not guaranteed. Podium Properties & HomeSmart Realty Group do not make any representation or warranty regarding any information, including without limitation its accuracy or completeness, contained on this website. © podiumproperties.com 2013-2019 All Rights Reserved.